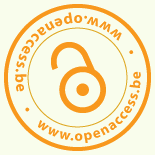 Want to know more about what open access can do for you ? From DI-fusion to Google Scholar. Posted on October 16, 2013 October 17, 2013 by François RenavillePosted in Events, FrançaisTagged OA Week.